It’s always seemed a bit out of bounds to blame the architects of a given style of music for the musical crimes committed by the acts they inspired. Grunge, in particular, has been an easy target for derision, based on the abomination now known as “post-grunge.” But it’s not really Soundgarden’s fault that Scott Stapp took “Jesus Christ Pose” a little too literally. Nor is Pearl Jam responsible for Chad Kroeger’s ability to sing every syllable like he’s passing a stone. That kind of talent can’t really be taught. In spite of the good decade or so that grunge’s legacy got dragged through a trough of steamy fertilizer, there’s a damn good reason it resonated with so many listeners when it did, and the angst and disaffection was only part of it. In essence, grunge was punk rock made more radio friendly — now’s just as good a time as any to remind everyone about the similarities between “Smells Like Teen Spirit” and “More Than a Feeling.” On its way to becoming the biggest musical trend of the early ’90s, however, grunge was still pretty raw, and far closer to the kind of encrusted muck its name connotes. 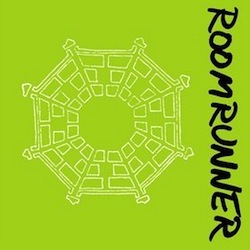 That kind of hook-laden din heavily informs Roomrunner’s debut album Ideal Cities, a fun and fucked up trudge through gnarly amplifier explosions with a classic Sub Pop feel. There are melodies and earworms galore on Ideal Cities, though they’re rarely straightforward. Even their most accessible tunes seem slightly off kilter, scratched up and wobbly. They’re still pretty catchy, just not in any conventional or commercial way. In other words, nothing here resembles “More Than a Feeling.” Not that Roomrunner aren’t capable of making a blockbuster rock hit, they’re just having a lot more fun — and rightfully so — by finding ways to ugly up a good rock song.